Each of the Bosch 12-in. and 14-in. Premium Segmented Diamond Blades is a universal masonry blade. 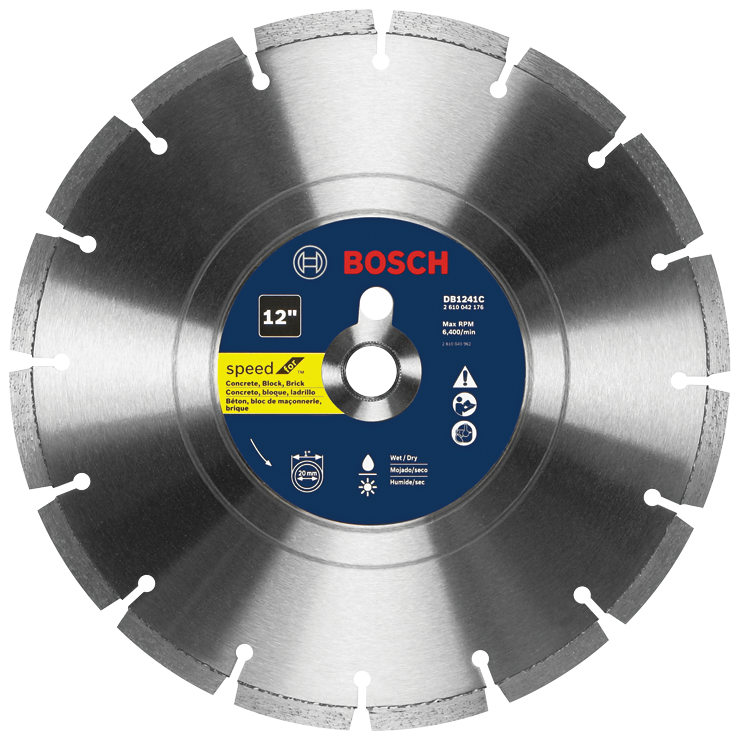 It delivers efficient and fast cutting, thanks to Bosch's tensioned blade core, segment design and high-quality diamonds. The blade's tensioned core is engineered to ensure that the blade delivers smooth cuts, with lower vibration to eliminate wobble. With a 10mm segment height that provides up to 3X life, it is an outstanding general-purpose masonry blade. It includes a reduction ring and drive pin for versatility with a variety of machines, and it has a 10mm segment height for up to 3X life versus standard abrasive blades. Each segment is laser-welded to the steel core.